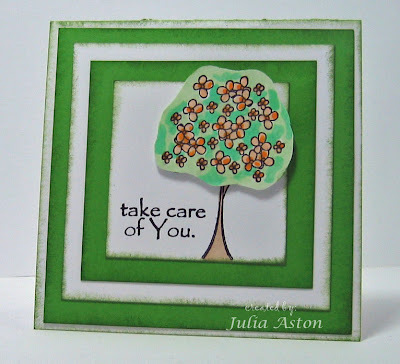 I made this card for the CAS08 sketch challenge on Split Coast (Clean and Simple). I used this beautiful soft accordian ribbon from Taylored Expressions and the sentiment is from Papertrey Ink Mega Mixed Messages set. The felt and crocheted flowers were given to me by my good blogging friend 'itsapassion' (thanks Anne!) so I don't know where they are from. Clean and simple card - clean and simple post! Good night all ! thanks so much for coming by today! Eat Your Veggies and Let the Earth Rejoice! So - I'm multi-challenging again - I'm behind on the last two weekly Doubledog Dare Challenges that I do with a group of friends on Split Coast - so I scoured Just PaintingAround - Featured Stamper Michelle's gallery to see if there was something that would fit! And I found this tag card. I changed the colors and stamps used - but kept her fun design. And I incorporated Charlene's (LilLuvsStampin) Double dare challenge to make a tag and use green on it - and Michelle's (sf9erfan) 1-2-3 challenge - to use 1 designer paper, 2 ribbons, 3 brads. So here we are with an 'Eat Your Veggies' tag. These fun stamps are from a new company called Two Scoops Rice Designs. We'd love to have you play along with our Doubledog challenges - just post your card on Split Coast using the Keyword DDC. You can see all the Doubledog challenge cards here. 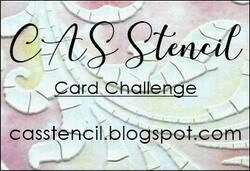 I've combined 4 challenges in this card (don't you just love when you can work that out!?!?!) The Limited supply challenge on Split Coast this week was to use just black & white (silver is ok too). 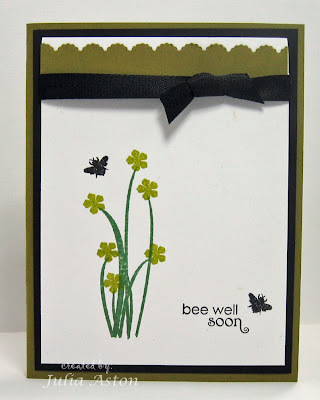 I used Taylors Sketch and I used ribbon tabs and mixed stripe and pattern designer paper which are the last two of Sharon's stamp simply challenges . 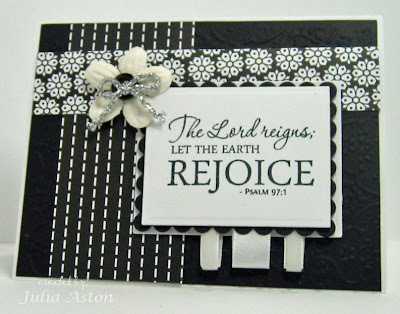 My stamp is from a Verve Visual set called Everlasting Life and my designer papers and ribbons are Papertrey Ink. I used the Cuttlebug Textile folder for the background panel to give it a little depth although you can't see it too well on my photo. The pretty silver fiber is called cloisonne thread and came from my dear MIL's sewing box that I was lucky enough to receive when she moved into assisted living (she's 93 and still plays scrabble on the computer!). Thank you for stopping by today! 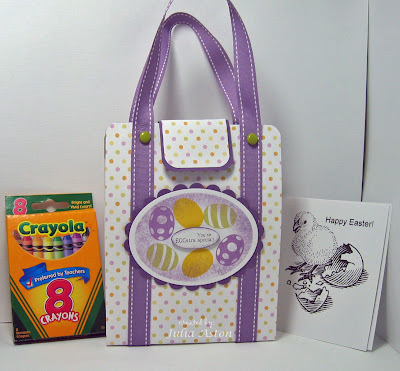 Now onto making some Easter crafts!! World Record Inspirational Unity Blog Hop! There are over 200 people signed up to participate! Can you hit them all? 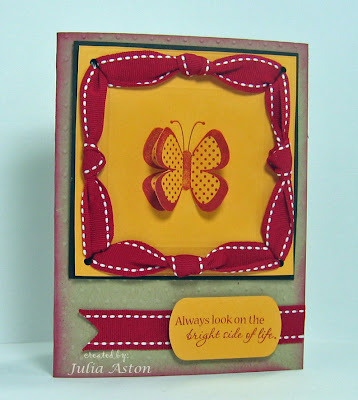 I made my card using one of the butterflies in the Unity Stamp Set Butterfly Beauty which I stamped twice, cut out the center part on one and layered it over the other. Thanks for stopping by - I'd love for you to leave me a comment! 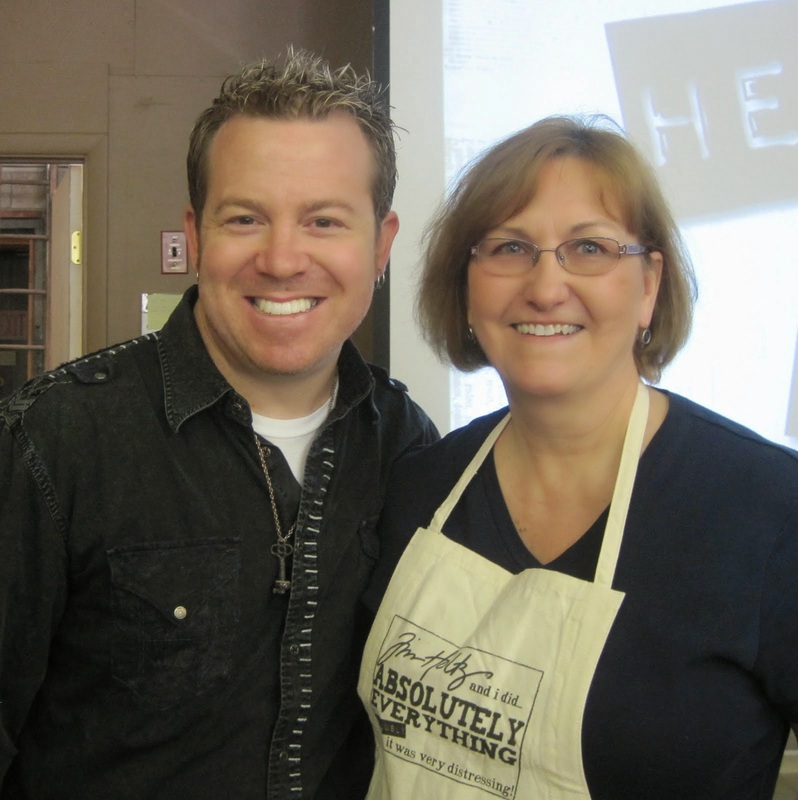 Now hop on over to the next blog here! I used this pretty Basic Grey Marrakech designer paper as it had the 3 colors in it (Baja Breeze, Kiwi Kiss and Pretty in Pink) or reasonable facsimilies there of! 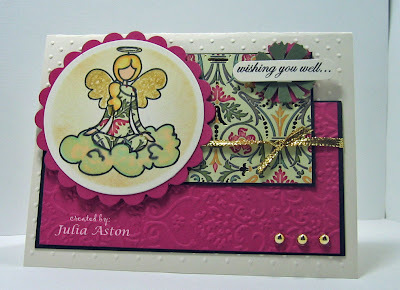 The angels and sentiment are from an H&M Stamp set called Angelic Moments. I used ribbon instead of cardstock for the 2nd panel. I had a lot of trouble putting so many layers on a card - I worked and re-worked it with different layers and colors for quite some time! So this card was a sketch growth experience for me!! And I have to say - I like how it finally came out - not that I'd use this sketch again though! LOL! Hi everyone! Nothing new to post at the moment - I'm busy working on some projects that I can't show you right now (I always wanted to write that!!!) I'll let you know my exciting news soon!! I'm teaching two classes at the Papertree Store in Manchester, NH this Saturday if you're in the area drop by and say hello!!! You can see the classes here scroll down to the 3/28 listings. Michelle has a super fun store with tons of beautiful papers and wonderful stamps - not to mention any kind of stampin' supplies you might need! I'm also participating in the World Record International Unity Blog hop - are you??? - so be sure to check back here at 10 AM on Saturday - over 200 people are participating! (see blinky on side bar) Hopefully everyone will link to each other as directed so we can view all the posts! Oh - and I just got my Papertrey Ink order for this month (!) and I received TWO of the Limited Edition Everyday Classics Thank you Stamp sets because I'm such a GOOD (ie BAD!) customer - maybe one of them will show up in Blog Candy here some day!! You can't buy this set - it's given to customers for purchasing at least 12 stamp sets over the prior year. So much stamping to do - so little time!!! I should have something to post tomorrow - thanks for coming by!! As promised - here is another project that we made at the Stamp New England Weekend. 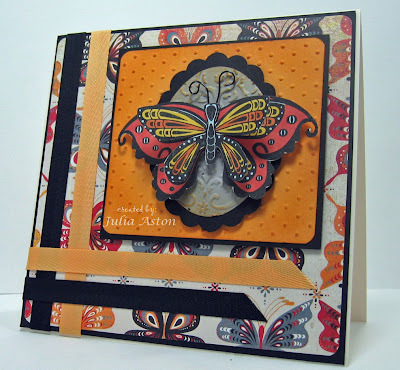 (see my post below for more info on the weekend) This beautiful set was designed by Cindy Lawrence and uses Whipper Snapper Stamps - Blossoms and Butterflies and Friendly Expressions. I had gotten this watercolored at the weekend but not put together but I was able to finish it up today. We used reinkers and aquabrushes to color the petals and envelopes - I didn't do too well on mine - I always seem to add too much color and so don't get that wonderful shading other people can achieve. I definately need some practice on it! 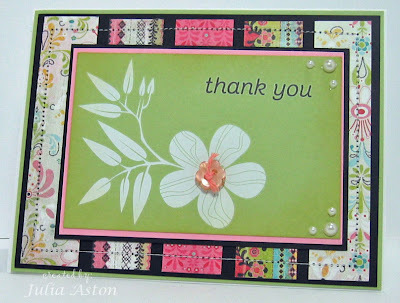 We were given extra blossoms stamped to color and cut out so we could layer them over the first stamping. We used sponge daubers on the edges with Soft Sky ink and layered the plain ovals onto scalloped ovals. 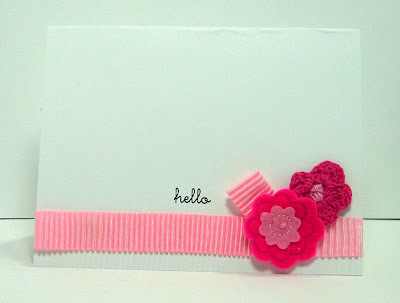 For the card on the left - we used a copic marker to color the middle strip of the ribbon - boy did that work nicely! 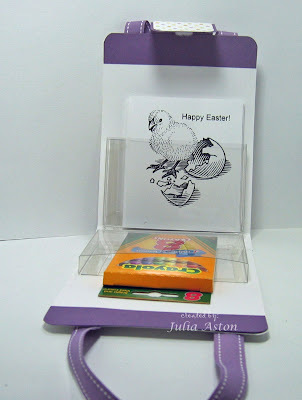 And then we all got a clear box from Gina K Designs - to slip our cards and envelopes into and we made a belly band to go around the box. The smaller flower was white which we again colored with a copic - how great does this whole thing look!!! I'm going to send this to my dear Aunt Edie who just turned 90 today - she likes to send notes to people and she always appreciates getting cards that I stamp - she will just LOVE this set! I had mentioned that I had to leave the weekend a little early in order to attend my niece's wedding shower so I thought I'd share just a couple of pictures of it. Here is bridesmaid, Jenn, future bride Katie, her sister Christy, and bridesmaid Amanda. 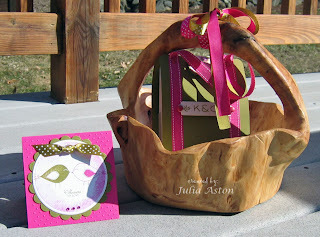 And here is the gift I gave her - This is a really neat basket carved out of a tree trunk that I got at the Brimfield Fair last fall. I like to give unusual gifts that they will remember came from their wedding. whenever they use it. (guess this fits the bill!) Katie's wedding colors are Ripe Avocado and Strawberry Fizz. She and I also made her Wedding Invitations, seating cards and program using these colors from Papertrey Ink. We did some computer printing and some stamping. I forgot to take pics before she took them all home - but hope to take some later to post. 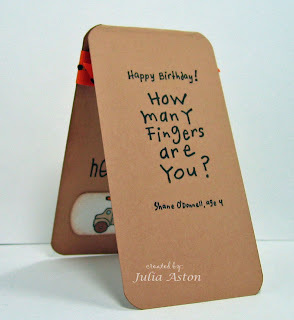 This is the card I made for them as well as a case of personalized notes (you can see my post on them here). 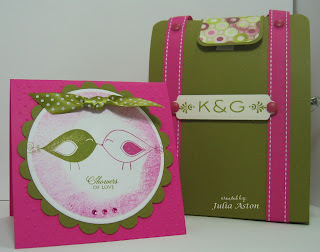 The card uses Verve Visual Anniversary Birds set, the sentiment is from Papertrey Ink. I still have 2 more projects from SNE to finish - so check back to see them! Well - these are not colors I would usually grab to work with but this was the color challenge on Split Coast - Riding Hood Red, Summer Sun, Kraft and black! Pretty bright huh?!?! I used Papertrey Ink colors on my card because I don't have Summer Sun so I used Pure Poppy and Summer Sunrise which I think are similar to the SU colors. I also wanted to try the Split Coast New Technique challenge from yesterday using Claire's Ribbon Frame. I think it would work better if I had the slot punch Claire mentions in her directions where you can punch anywhere on the card. I like her samples on the larger panel. I was limited to the size of my square since I used the hand held SU Horizontal slot punch and it wouldn't reach in very far! DH and I are going to a Celtics Basketball game tomorrow night so I won't be posting until probably Thursday - AND - it's FINALLY time for the Stamp New England gathering in Portsmouth NH and I'll be at that Friday and Saturday! I'll be sure to share pics when I get back! Today the H&M Design team is having a Spring Time blog hop! We've all created fun bright crafts to inspire you and get you out of the winter blues - using new stamp sets just released by Heather on March 1! We would like you to start with Carolina's Blog so if you didn't start there - jump on over . 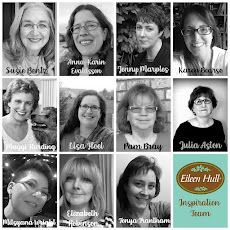 Just follow the 'hop' at each DT members blog! They'll tell you where to go next! 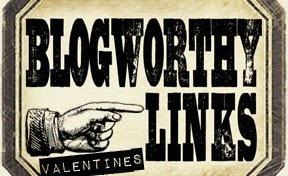 If you're here following the blog hop trail - Welcome!!! 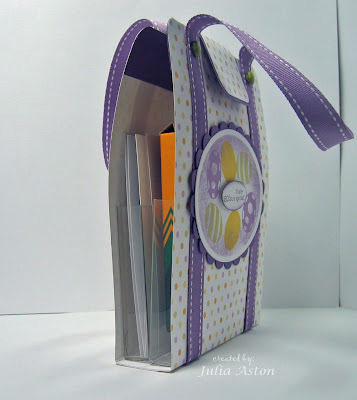 For my Spring craft - I made another one of the fun purse/brief case holders I've posted before (are you sick of seeing these from me yet??!!!) - but this time I made it as a child's Easter Treat. 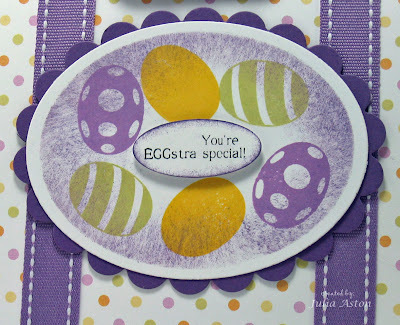 I stamped these beautiful eggs from designer Debbie Corbari's set called "Eggstra Special" from H&M stamps. 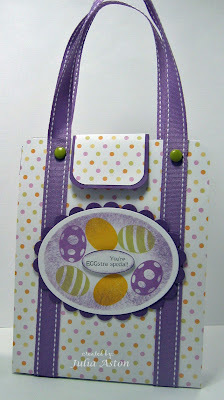 Look at all the fun designs on the eggs - and there are 2 more in the set that I didn't use here. Don't they look so bright and festive! 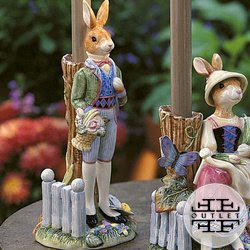 They just scream spring and new life to me - and I love the perfect sentiment! 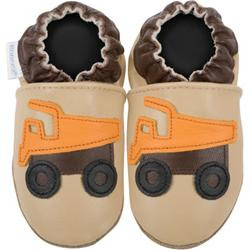 And I didn't fill the case with candy - I figure parents look for a gift alternative to all that candy on Easter Morning. You can see a glimpse of the treats from the side here. So inside this treat bag I tucked 6 coloring cards and a box of crayons into the clear box pockets! 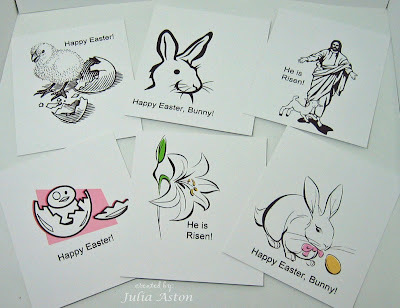 I found some cute, mostly black and white outlined clip art images on Microsoft Word and printed them out on card stock - then cut them into card size pieces. 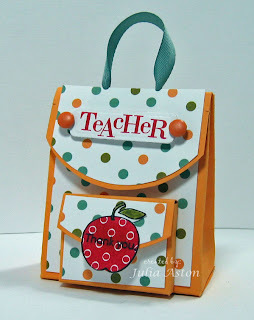 Because kids are going to be opening and closing this little bag a lot - I added brads to the tops of the handles to reinforce the tacky tape that holds the ribbon on. This left the pointed ends of the brads exposed on the inside of the bag - which could catch on little fingers - so I added a strip of card stock to cover them. You can see two other bags that I made here and here. They include a link to the instructions for making these fun purse/cases. Briefly - for this project I used the narrower clear boxes (4 1/2" x 5 7/8" x 1/2")(Choose the depth of the clear box by how much you want to put inside them - my other samples use 1") This case is made from 2 pieces of designer paper cut 5" x 7 1/2" - score the bottom of each piece at 1 1/8" - adhere tacky tape on one end and attach pieces by overlapping the bottom scored ends. Cut two 23" pieces of ribbon for the handles and attach them with tacky tape starting on the bottom, coming up and around on each side. The closing tab measures 2" x 3" with the DP on it measuring 1 7/8" x 2 7/8". 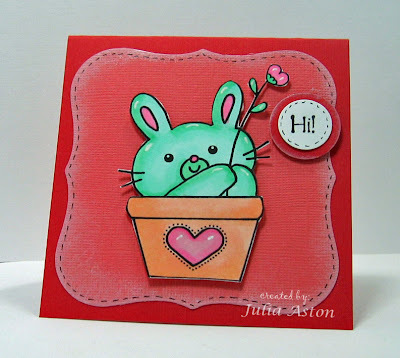 Now hop on over to visit Maki and see what fun spring craft she has to show us using the new H&M Stamps today!! Accessories: Oval nestabilities, corner rounder, Plum Pudding stitched twill ribbon PTI, tacky tape, velcro, clear box- Clearbags.com, computer clip art, box of crayons, small oval punch, sponge, foam dimensionals, Basic Grey Painted brads, cropadile. Are you as enamored as I am by the sweet images from The Greeting Farm?? I recently ordered some of their stamps and made these three projects. 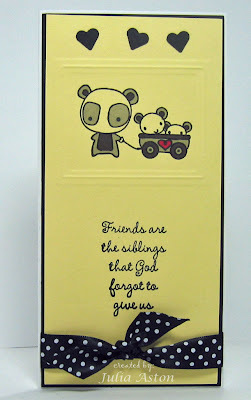 First up is this 3x6 long card using Lemon Tart and white card stock from Papertrey Ink and Basic Black from Stampin Up. I used the cute Panda Friends set that is actually on clearance sale right now. I colored the image with grey, red and black Prismacolor markers and embossed around it with my rectangle nestability. I punched the little hearts and tied the Papertrey Swiss Dots satin ribbon around the bottom. Accessories: True black dotted swiss ribbon: PTI, rectangle nestability, small heart punch, Prismacolor markers. My son was in the Army for many years so I'm partial to all military stamps. This Army Ian was just up my alley. I put him on the cover of a coaster photo album and will add pictures of my son when he was in the service (I just need to find them as it was pre-digital camera time and the photos must be tucked somewhere neatly away!!! LOL!!!). 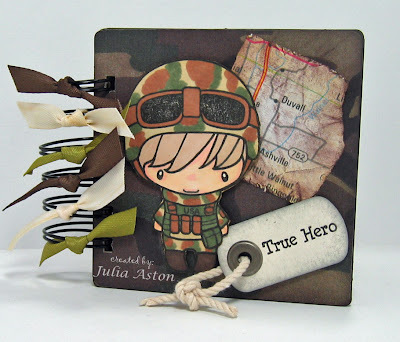 I used extra big 1 1/4" wires to bind it with my Bind It All to give it a tough Army guy look! I covered 4 additional coasters with green, brown and camouflage designer papers for the inside pages and I sponged all the edges. 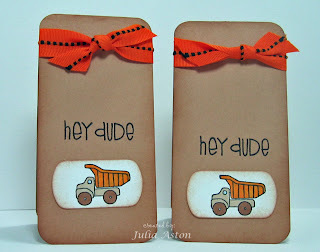 I made the 'dog tag' using the key tag punch and big eyelets - both from Stampin Up. The piece of map is designer paper called Road Map by Paper Pizazz that I got at JoAnn's. I crumpled it up, distressed the edges and sponged it with Chocolate Chip and So Saffron inks. Paper: White: PTI, Medium Weight Coasters, DP: road map: Paper Pizazz, Camouflage unknown. 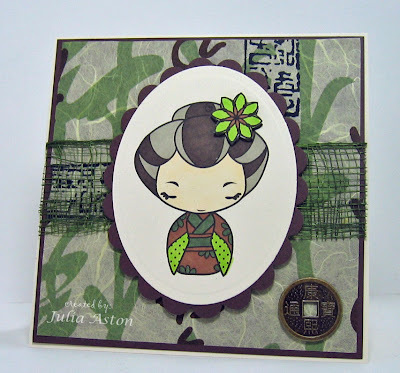 And my third project is a 5x5 card using this cute digital Geisha girl Anya (no longer listed on The Greeting farm site). I colored her with Prismacolor markers to match this great designer paper called Sumi that I got at Michaels on sale recently. I used a piece of fiber that came off a floral bouquet that I had saved (you never know when you'll need something like this!! - I hadn't needed if for a whole year but this day it was perfect! LOL!!) I also added the metal coin to the bottom corner. I cut the flower out of a 2nd image, colored it and popped it up on foam dimensionals. The ovals are nestabilities. Accessories: copics, prismacolor markers, oval nestabilities, net fiber recycled, Asian coin, glue dots, foam dimensionals. As you are reading this - I am hopefully snow shoeing up at DH's brother's home in VT! I have preposted this entry and hopefully it posts on Wed! And you can bet I'm suffering from withdrawal because I'm not stamping!! 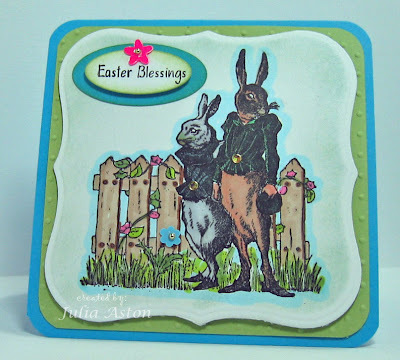 My card today covers two challenges - the color challenge on Split Coast to use Rose Red, Basic Black and Always Artichoke - and Julee's Mojo Monday Sketch The stamps are Angelic Moments from H&M Stamps I used the textile and swiss dots cuttlebug folders and circle nestabilities. I paper pieced the angels outfit and used a Spica gold pen on her wings and halo although you can't see the shimmer in the picture it does shimmer IRL! 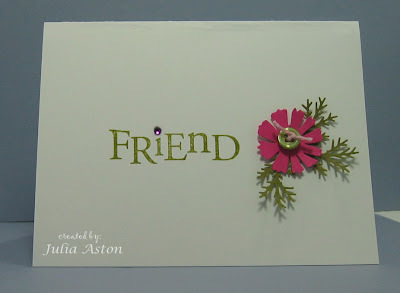 I double layered a flower punch under the sentiment. 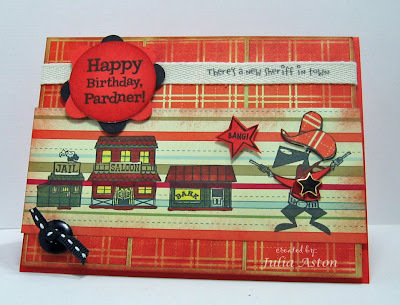 Gotta go and make an 80th b'day gift of note cards for a friend - thanks so much for stopping by today! 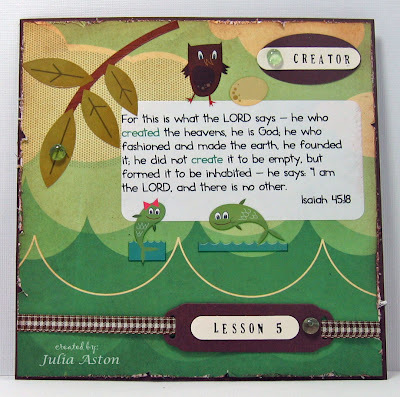 This is my card for the CAS (clean and simple) Monday challenge on Split Coast - this week the challenge is to use just shades of blues and greens on your card. I used Ripe Avocado card stock from Papertrey Ink and 2 shades of green copics on the peas. The sentiment was stamped in Denim Adirondack ink and the doodling was done with a blue fine tip pen by Creative Memories. 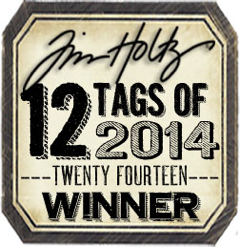 The cut out and embossing was done with square nestabilities. 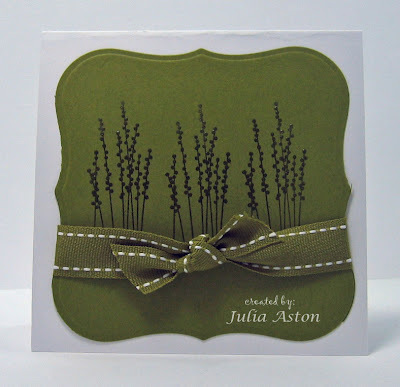 The doodling also qualifies this card for this weeks Our Creative Corner Challenge. 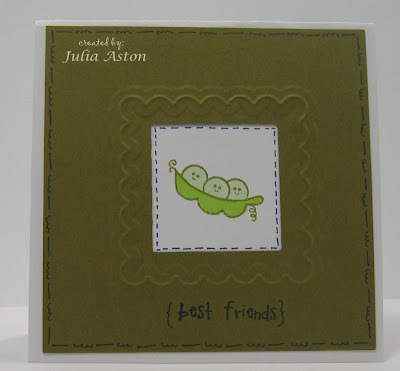 The cute peas in a pod and sentiment are from the Veggie Set by Two Scoops Rice Designs Scroll way down on her site to see this set it's listed on an Oct 2007 posting. As always - I appreciate your stopping by! Check this out! 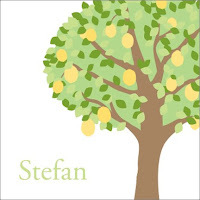 Cute free Digi Stamp!